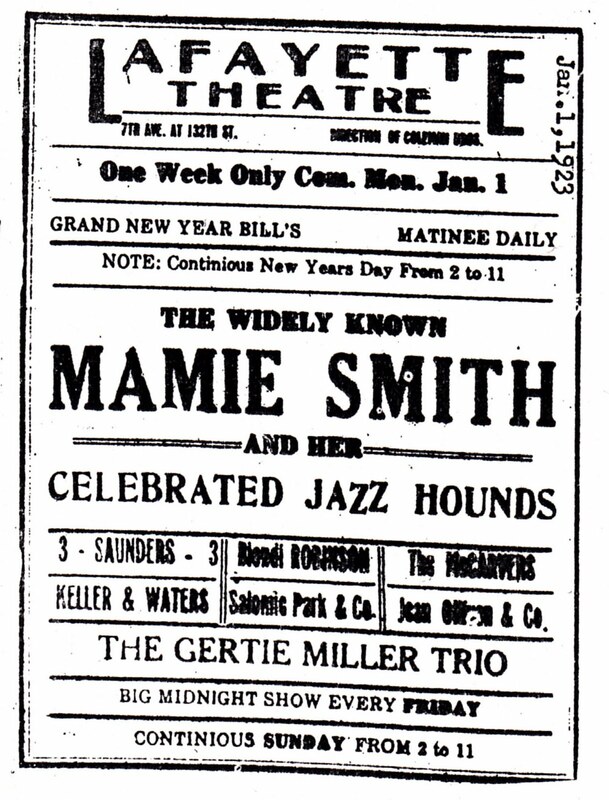 Mamie Smith (née Robinson) was born May 26, 1883, probably in Cincinnati, Ohio, although no records of her birth exist.When she was 10 years old, she found work touring with a white act called the Four Dancing Mitchells. 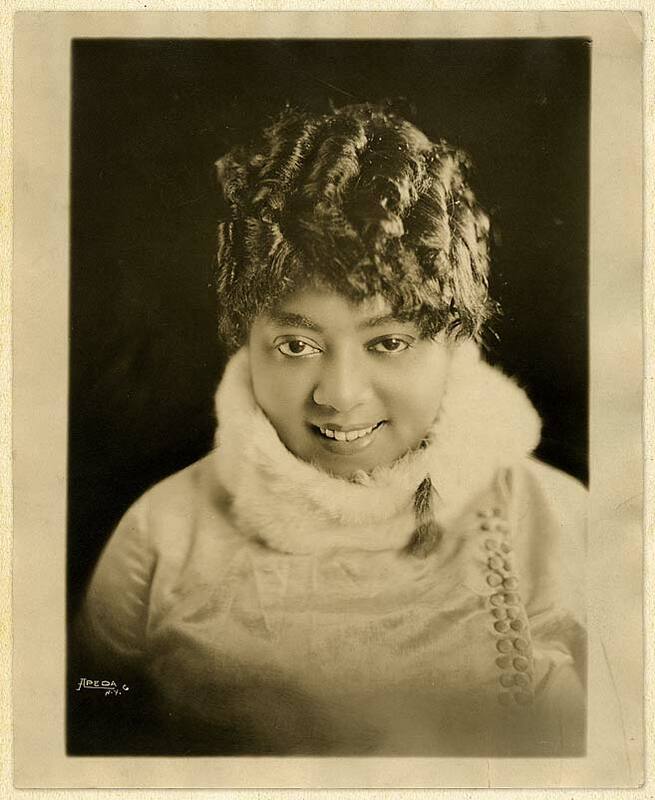 As a teenager, she danced in Salem Tutt Whitney’s Smart Set.In 1913, she left the Tutt Brothers to sing in clubs in Harlem and married a waiter named William “Smitty” Smith. 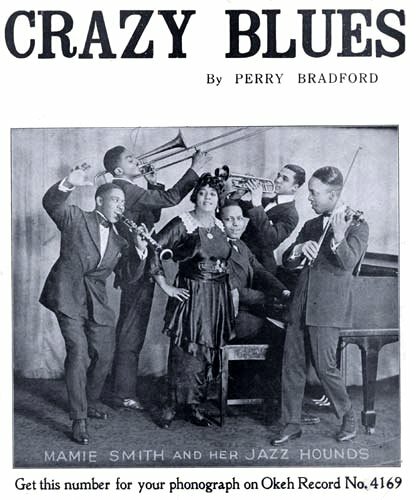 On August 10, 1920, in New York, Smith recorded a set of songs all written by seasoned African-American songwriter Perry Bradford including “Crazy Blues” and “It’s Right Here For You (If You Don’t Get It, ‘Tain’t No Fault of Mine)”, on Okeh Records. 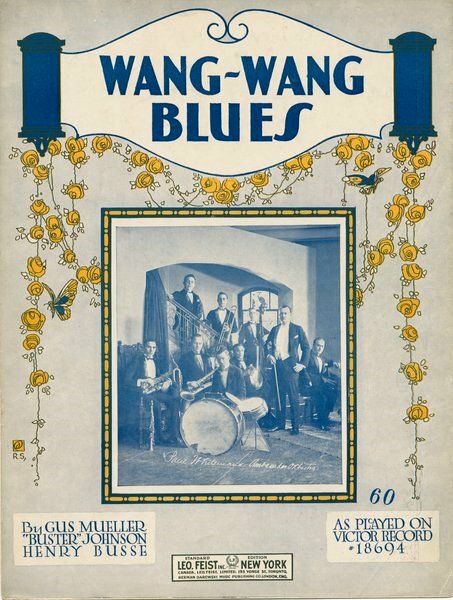 It was the first recording of vocal blues by an African American artist, and the record became an explosive best seller, selling a million copies in less than a year. 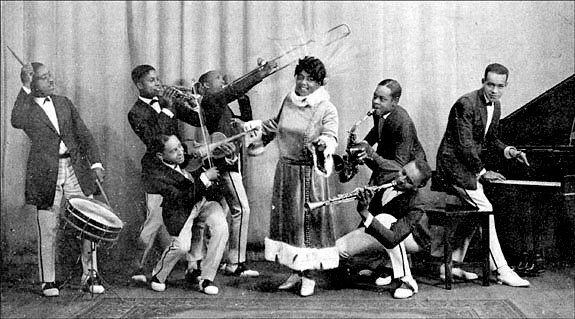 To the surprise of record companies, large numbers of the record were purchased by African-Americans, and there was a sharp increase in the popularity of race records. 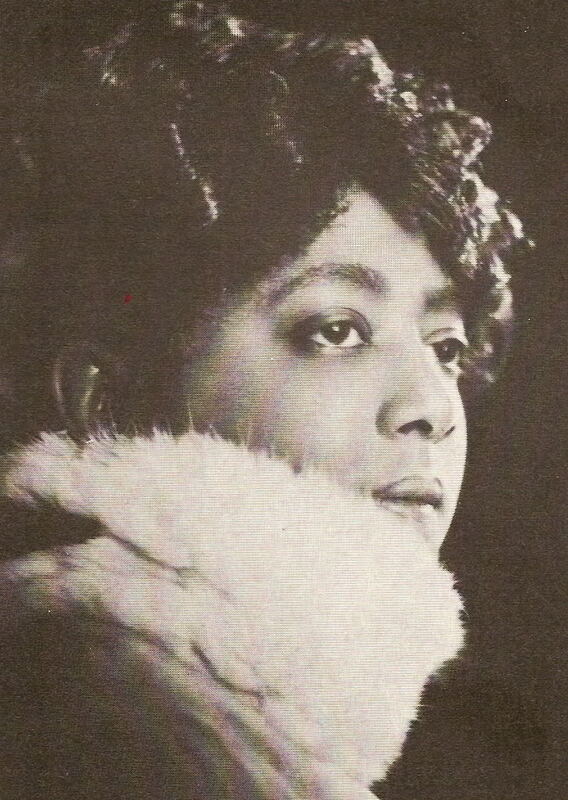 Although other African-Americans had been recorded earlier, such as George W. Johnson in the 1890s, they were all black artists, who had a substantial following with European-American audiences. 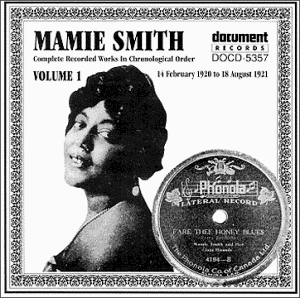 The success of Smith’s record prompted record companies to seek to record other female blues singers and started the era of what is now known as classic female blues. 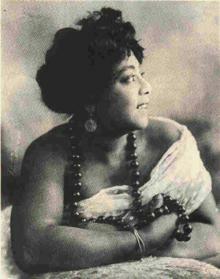 It also opened up the record industry to recordings by and for African Americans in other genres. 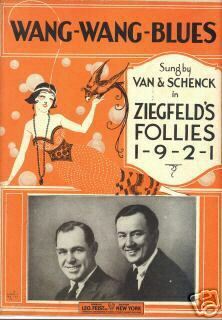 According to user martirossian, it was recorded on March 20th, 1929, in New York by Okeh records (Okeh Mx # 401761-A-B). It seems to have been unreleased until the mid 1990s. Nancy, I’m not a record collector. In a Google search I discovered that someone recently offered a copy for sale on eBay. Only one bid on the item is recorded, for $10.